It has been amazingly hot at Bicol, most especially in Albay, and we realized that we cannot endure this weather with our bodies that were probably designed to enjoy strong blows of wind. I hoped for that refreshing summer breeze, that’s why we went here during first week of June, but it seemed like we will never achieve that. We only planned to see attractions that concentrated around Mt. 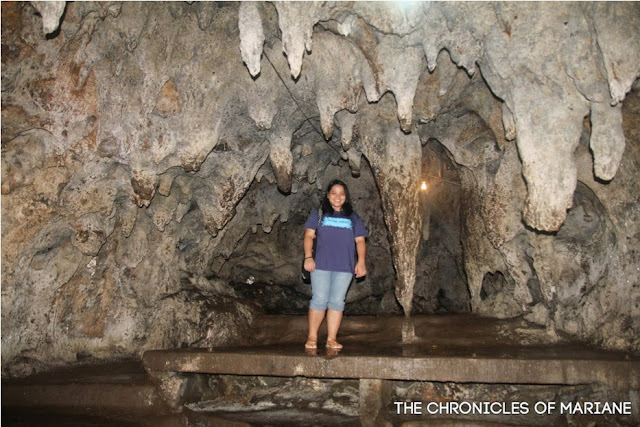 Mayon, Bicol’s pride and glory, but one friendly local suggested that if we were looking for a place to cool off, we probably should head to Hoyop Hoyopan Cave. at Hoyop Hoyopan Cave with a birdie photobomber. As our driver directed us the way to the caves, we had the option to walk or take a tricycle. Good thing that there was one available and charged us with only eight pesos per person. If this was in Manila, we would have definitely been overcharged. 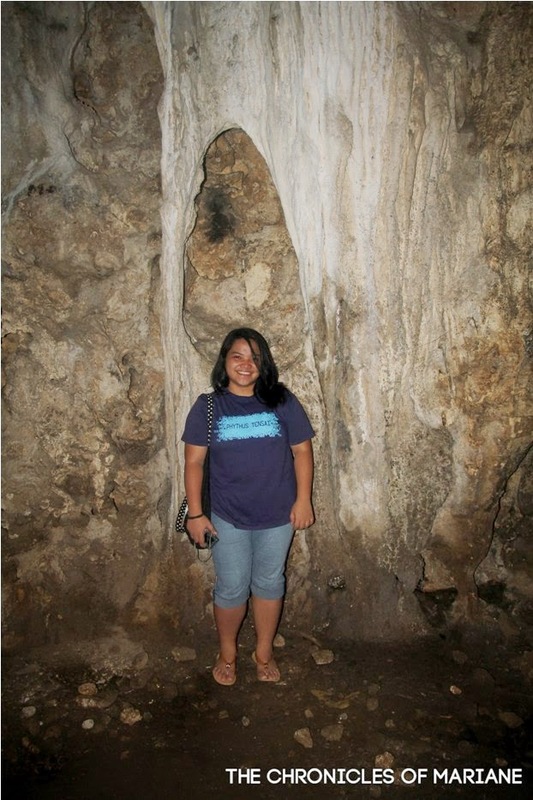 We were told that a guide is required to enter the cave and a fee of 300 pesos per group is the standard. I would recommend getting contact numbers of tricycle drivers around the area because after we completed the tour of the cave, we had to walk back to the highway since there were no tricycles available. 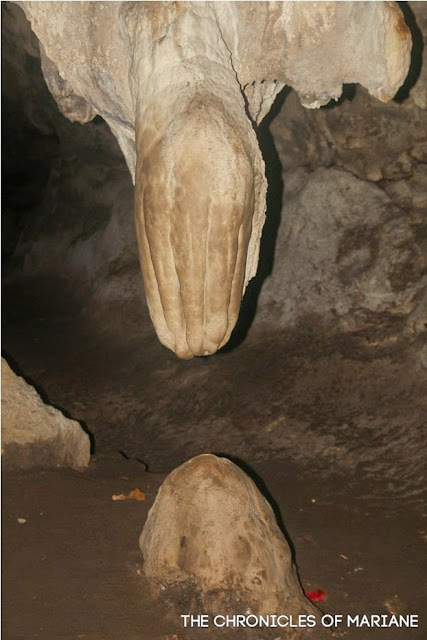 As soon as we got into the entrance to the cave, I realized why we were suggested to go here. It was indeed cool inside, despite the blistering heat of the sun. 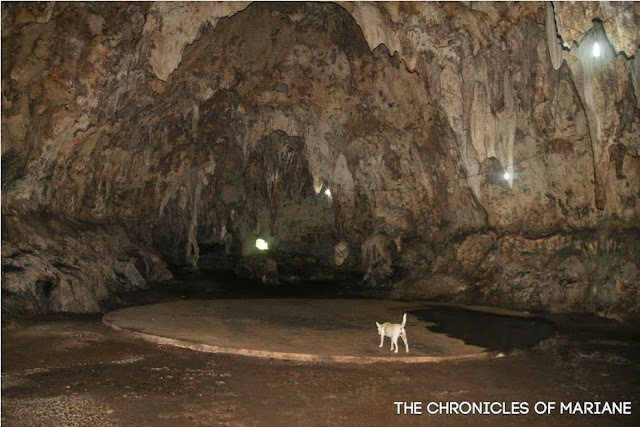 We felt the light breeze inside the cave, making it a no-brainer to have named this Hoyop-hoyopan Cave, since hoyop means to blow in the local Bicolano dialect. 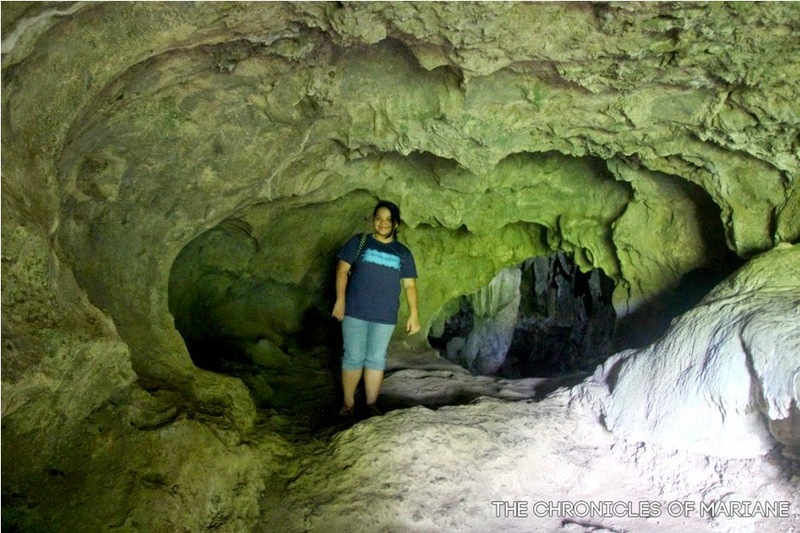 Located at the Barangay Cotmon, this cave famous for its limestone and crystals was said to have been discovered during the Japanese occupation and became a popular “hideout” by the local Albayanons during the Martial Law. And care to guess why? Aside from serving as a sturdy shelter during typhoons, the place also served as their party place due to the strict curfew implemented at that time. Partying in a cave, that’s actually a great experience! Currently, the cave is privately owned and maintained by three families of this village. I was concerned for my sister since it was her first time to go spelunking inside a cave, but our guide assured us that we wouldn’t even break a sweat, and true enough, we had no problems. Man-made stairs and pathways have been developed for visitors like us. The area is also fully lit so don’t worry about slipping or missing a step. 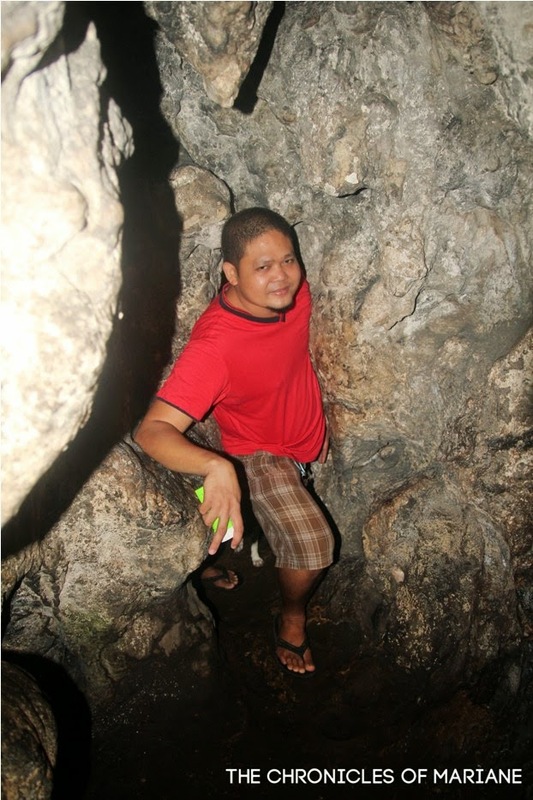 I guess I was traumatized by my previous caving experience at Sagada. For those looking for challenge, you may want to add Calabidongan Cave to your itinerary as well. I am always entertained when cave guides talk about rock formations and relating it to different objects or people. One that really stuck to me was “The Hand”, similar to the Filipino tradition of pagmamano which is a sign of respect for our elders. This is done by raising the right hand of your parents or relatives then guiding it to touch your forehead. 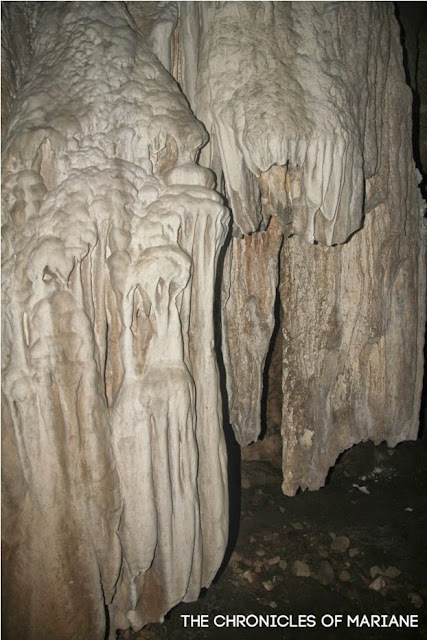 Other formations our guide has spotted were of dinosaurs and other animals. Another interesting thing, during our tour, we couldn’t help notice a dog that seems to be guiding us along the way. It seems that this is a stray dog that was eventually adopted by our guide’s family, and she may have already memorized the route that the guide always takes. Seems like we could have survived without hiring a guide, huh. 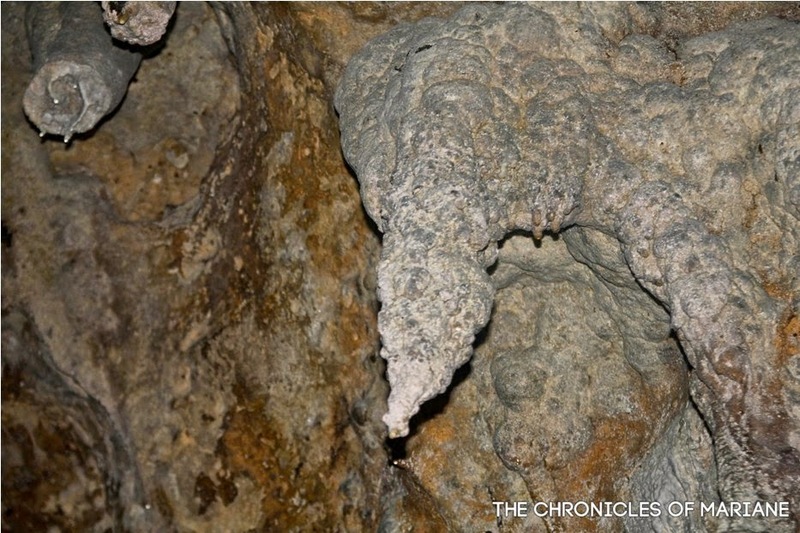 looks like a crocodile's head, would you agree? As we reach the last part of the tour, we saw this intriguing large circular concrete platform, and as mentioned earlier this is actually the dance hall used by the locals for their parties! We inquired if they still held similar events at the cave and apparently this has also been stopped since loud music may have an effect to the stalactites and stalagmites causing them to break and fall directly at the visitors. Yikes. To conclude our visit, our guide led us through an opening where one can see the Mayon Volcano. Though sadly for us, we still couldn’t see its perfect form since half of it is covered with clouds. 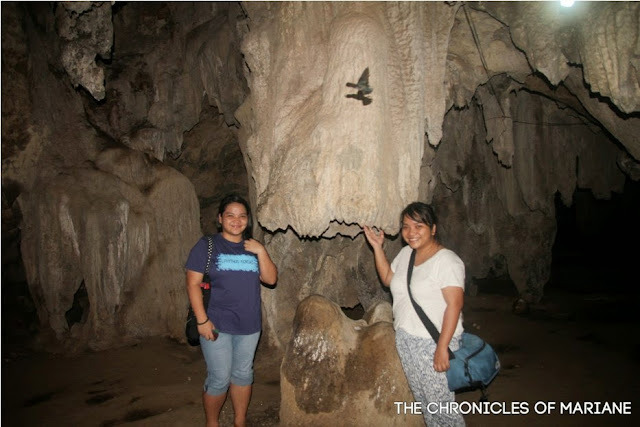 It was a good idea to stop by Hoyop Hoyopan Cave, even though we probably spent more time getting there than actually seeing the cave, I am glad me and my sister were able to see one of Albay’s natural gems. Jeeps that are headed for Polangui, Guinobatan, and Oas will pass by the same highway so you can take any of these. Alight at Camalig, landmark is Camalig Market. Beside it, jeepneys that will take you to Barangay Cotmon are also on standby. 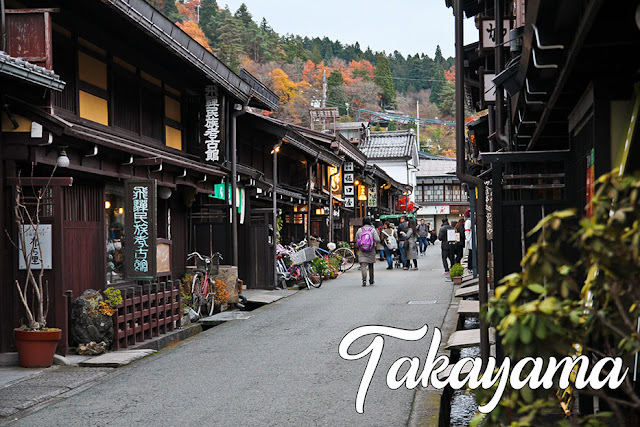 However, as with our experience above, we highly recommend to just take a tricycle instead to save time. 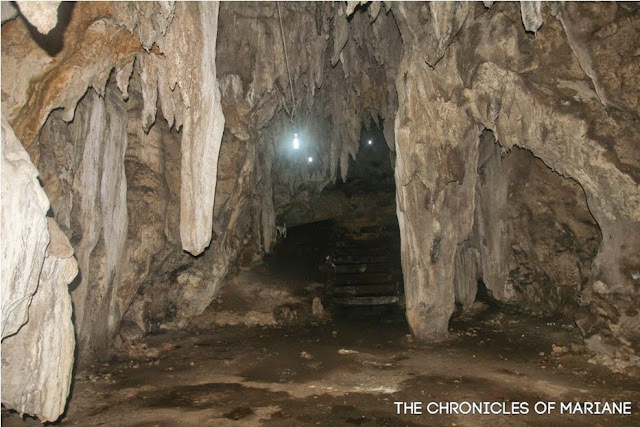 Ask to let you off at Hoyop-Hoyopan Cave or Barangay Cotmon. From here, you may either walk which may take around 15-25 minutes or take another tricycle to the entrance of the cave. Indeed a cool place for discovery. nakita mo yung dancing hall? hehe!